The below instructions will allow you to set up a method for forcing all of your customers to reset their passwords. This would be employed as a security precaution in the event of a potential encryption compromise, such as the OpenSSL bug "Heartbleed" which was discovered in April of 2014. This will work for stores running Empresa Engine version 5.18 or higher, and Miva Merchant Production Release 8 Update 12 or higher. Note that this will require editing the template code on several pages. These edits are low-risk but if you feel uncomfortable with editing code in your store then we advise you to seek help from a developer. If you feel you've made a mistake at any point in the process you can use the built-in Versions dropdown below each section of template code to select a previous working version of the template, then click Recall to bring up that version, and finally click Update to revert the page back to a date+time before the changes were made. Step 2 – Click Pages, and then the Items tab, and find the customfields item in the list. Click Edit to the right of it, and then click the Pages tab. Above the row of checkboxes on the left, click the check mark symbol with a plus sign next to it to select all pages, then scroll down and click Update. Now add the code below to your Global Header which will force customers who have not already reset their password to the Forgot Password Screen (FPWD) Note: If you upgraded from an older version of Miva, there is a chance your store is not using this page. In this case you may need to style it to match the look and feel of your website. 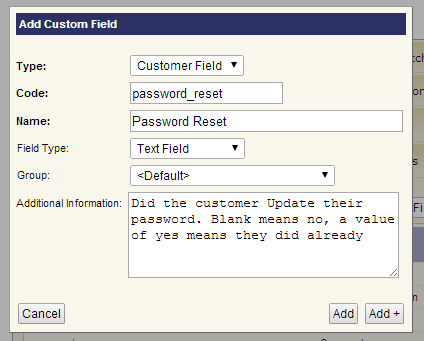 Step 3 - Add a message to the Forgot Password Page “FPWD” telling users why you are forcing them to reset their passwords. Step 4 – When the customer puts in their email address they will get an email with a link to generate a temporary password. That link will take them to the ACRT page. Since the customer may still already be logged in, you'll want to modify the Login Link on the ACRT page so that the customer is logged out when they click it. 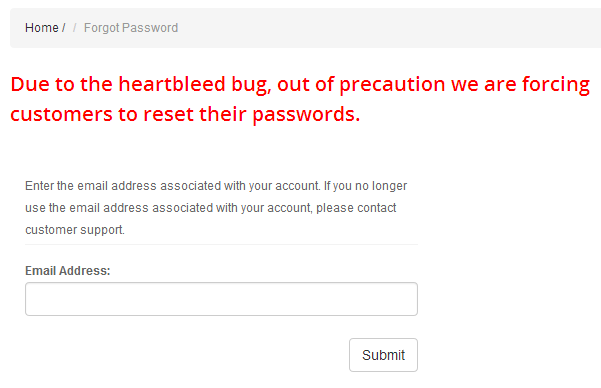 This will log the user out so they can re-login using their temporary password.